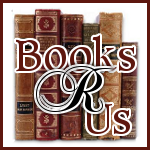 I want to welcome Chuck Waldron to Books R Us. Chuck is the author of Lion's Head Deception a thriller. Thanks for stopping by. The reader is introduced to Matt Tremain when a text message warns him of impending arrest. The first part of the novel provides an understanding of how he learns about a conspiracy, and the person behind it. A television journalist is investigating the same treachery. Will they be able to join forces? The end of part one introduces a police detective. Will he be friend or foe? In an action-packed run to the finish line, will Matt and his partners be able to face the challenges it will take to expose the lies and treachery behind Operation Clean Sweep? In Lion’s Head Deception you will meet me. Everyone calls me Stinky. I’ve been called Stinky so long I hardly remember my real name, Winston Leonard Smyth. My father was obsessed with Winston Churchill and when it came time to pick a name for his only son, well I got old Winnie’s Christian names. To tell you the truth, I have always hated my names. I’ve heard a lot of people feel that way about their name too. I wasn’t always called Stinky. That came later. In school I was called hey you, mostly. Hey, you, get out of our way. Hey, you, we’re trying to play a game here. Hey, you, why didn’t you do your homework? I’ve always wondered what name the school would have put on my diploma, but that’s a story that never happened, more like a fairytale. I left school when I was sixteen, just before my next birthday. I didn’t leave by choice. I was asked to leave. Then Juvie court gave me a paid vacation at an exclusive youth camp. It was exclusively for kids like me, liars, thieves and worse. I finally figured out I wasn’t cut out to be a criminal, but it was too late to go legit. I did the best I could but never got a job beyond sweeping floors or shoveling snow. I couldn’t saw a board straight or hammer without hitting my thumbs. That pretty much ruled out a job as carpenter. I couldn’t tell a spark plug apart from a lug wrench. There went a job as mechanic. Don’t feel sorry for me. I’ve survived on the streets for more than fifteen years. I’ve been hot. I’ve been cold. I know what hungry is. I can sleep on concrete or a park bench. All I need for bed cover is discarded newspapers. A large cardboard box is like a motel to me. I leave that to the ones that call me Stinky. They complain because I haven’t been good friends with a shower or bath for longer than I can remember. But I know the streets; the ones left behind after all the rich people go to bed. Since the riots began they’re all scared to go out, even during the day. Now they have asked me to be a tour guide for this blogger guy. I’m supposed to meet him at a coffee shop and give him a special tour of the back streets. I hope he ain’t afraid of the dark. Pump Up Your Book and Chuck Waldron are giving a Kindle Fire HD! This giveaway begins August 5 and ends October 31. Only U.S. citizens can win the Kindle Fire but if you are an international winner, you will be sent $200 Paypal Cash. Must have Paypal account to enter. I've enjoyed some dystopian thrillers, but since they tend to be darker reads, I don't add too many to my reading mix. Thank you for hosting Chuck, Melissa!